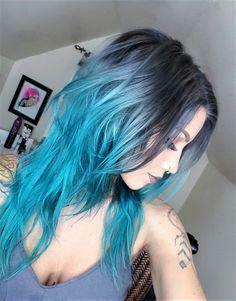 ﻿﻿How to dye hair blue? Make it the right way! | KSISTYLE! 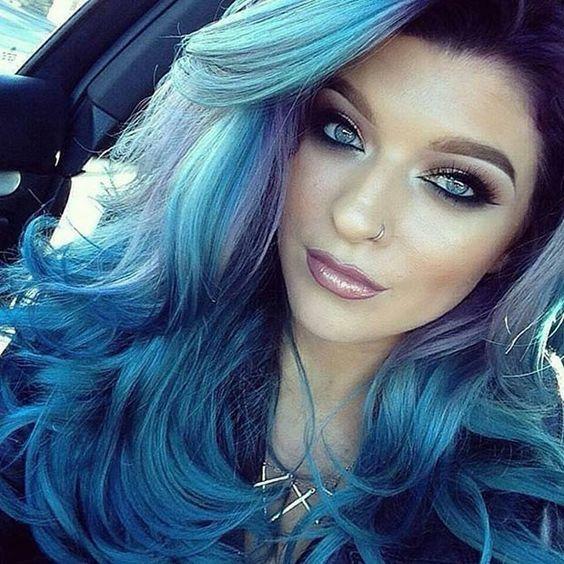 Girls with unusual hair color always draw public’s attention to themselves! You expect us to discourage you from becoming a magnet for admiring stares? No, on the contrary, we are going to help you learn how to dye your hair blue properly! For many months, blue hair’s been a matter of great discussion for both ordinary girls and celebrities. Уou may find a neat video-collage about Malvinas of 21 century (‘Top 20 celebrities who like blue hair’). 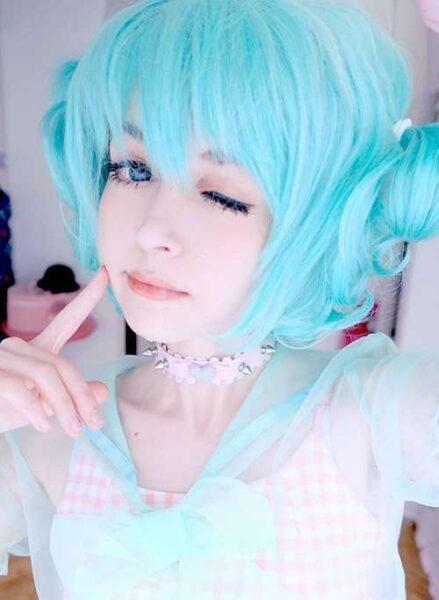 The problem of such inexplicable interest towards unusual color among young blue hair girls has been explored thoroughly by a dozen of psychologists. Well, questionnaires and data polls revealed that they crave secretly for sincere attention and tentative concern! People don’t entirely understand these ethereal creatures and so they crave to spread their wings and to announce themselves loudly to the world. Such people might be a bit whimsical with a tinge of disobedience about them. And yet, they have such good-natured, vulnerable and exquisitely sensitive souls. They want to make the world a better place, as the world doesn’t want to fall in line with them. 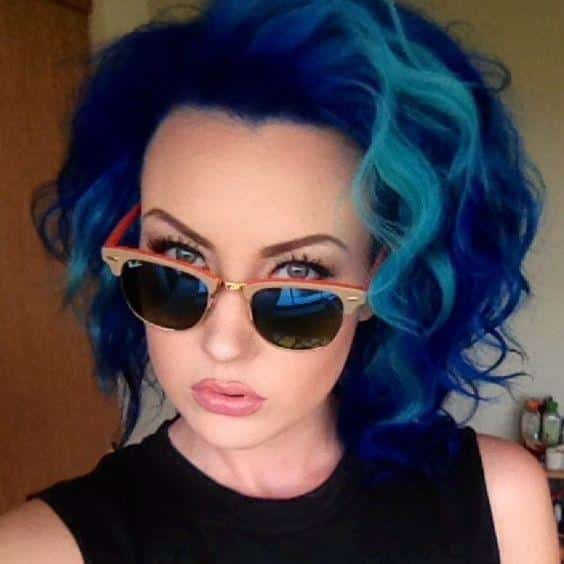 Although girls use their vibrant blue hair color as a manifestation of their inner protest, yet more often it indicates an enormous potential of creativity. Think of blue-haired dear Malvina. After all, she is a talented actress and a many-sided personality who is eager to refine everything around her! She may look like a pretty doll, her heart is in the right place and she would give anything to help those in need. Maybe it’s better to follow your heart and express yourself without regard to those who cannot understand? Girls with blue hair do not often look joyful and happy on the photo. In their eyes — a multivocal thoughtfulness and sweet sorrow. 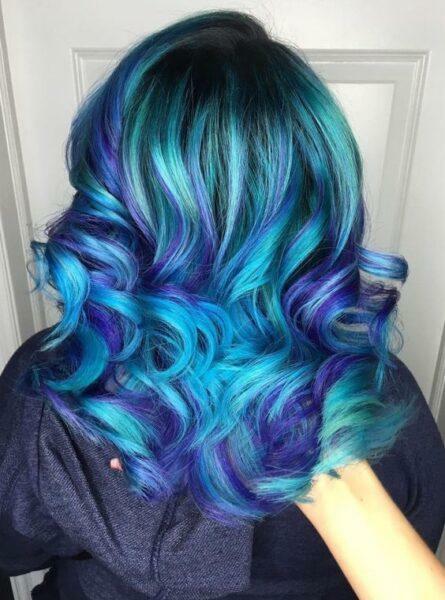 Some things you need to know if you are determined to dye hair blue? 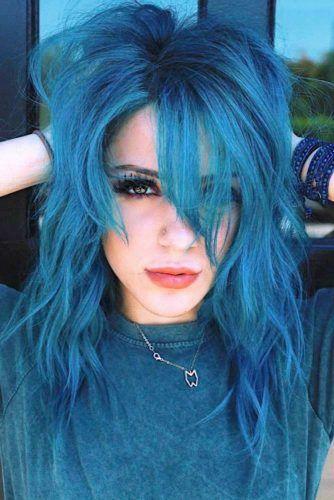 • To get the desired pure noble blue color, you will have to bleach your poor hair. In some cases several rounds might be required. 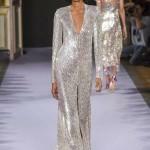 Only platinum blondes are those lucky ones who gain an irreproachable result without as much effort. And if you have a darker shade of hair, numerous bleaching may have significant deterioration of your hair condition as a consequence. And the process in many cases is irreversible. Such a hassle! But thankfully there are innovative products in our time that may revive your hair even in the most desperate situations! • So it’s better to leave ambitious experiments with blue hair color to the blondes, so as not to resort to the bleaching. However, there might be one way to escape unfortunate consequences – look for it in the end of the article. 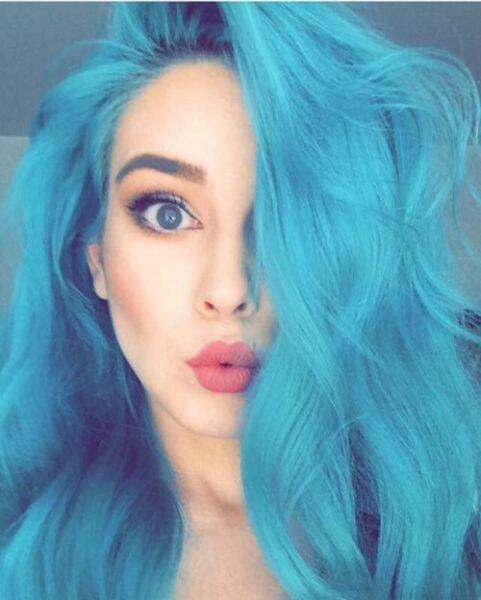 • The blue hair-dye is rather strong. To wash it out completely is a difficult task! So when you get back to your natural coloring, it won’t be easy! However qualitative the paint would be, but still with each washing the color will be fading. To maintain your hair color in a decent condition, you will have to apply the color tonic 2-3 times a month. • You will always be like a celebrity on the stage! 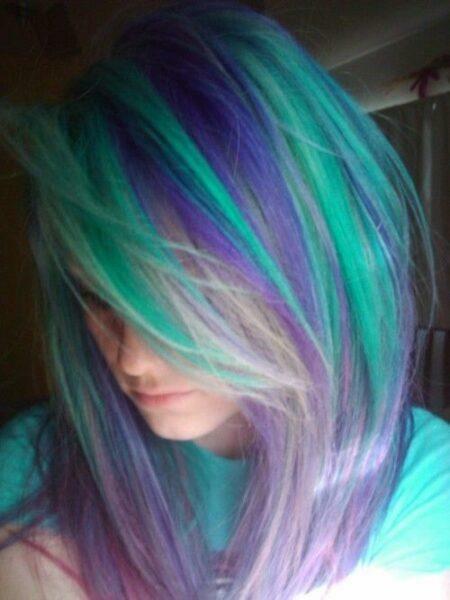 And believe me, most people will disapprove of the ravishing color of your hair! Not many will react sympathetically! Especially elderly people! You couldn’t care less? Then be prepared to receive with indifference all the snarky phrases! 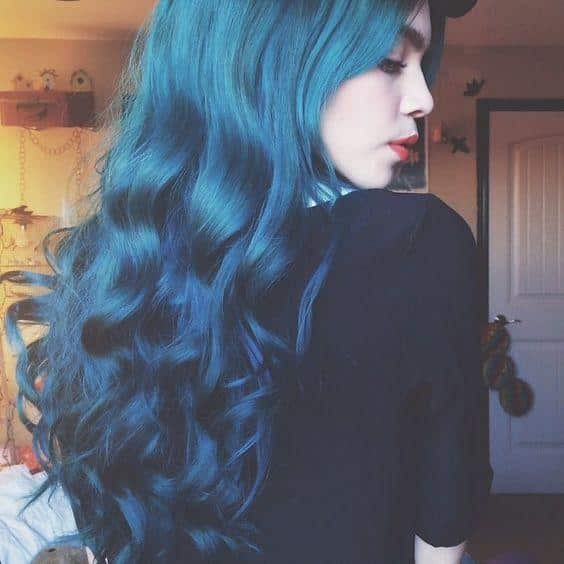 Will blue hair suit me? To look impeachable, consider your appearance type when choosing a new shade. • Gray-blue hair color would be good on girls with dark eyes and expressive eyebrows. 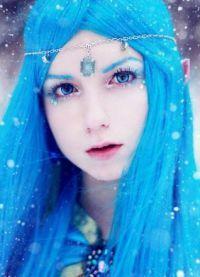 • Light blue color could be perfectly combined with the same clear celestial eyes and soft snow-white skin. 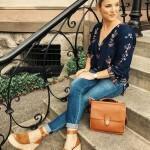 • A deep medium-blue shade would complement tanned skin and brown eyes. 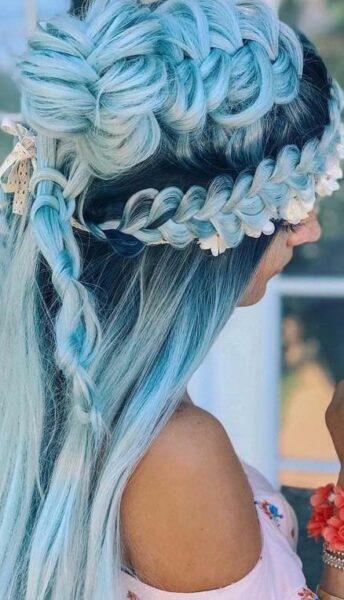 Blue hair does not fit with any style. Trendy hairstyle should make a duet with just as original outfits. 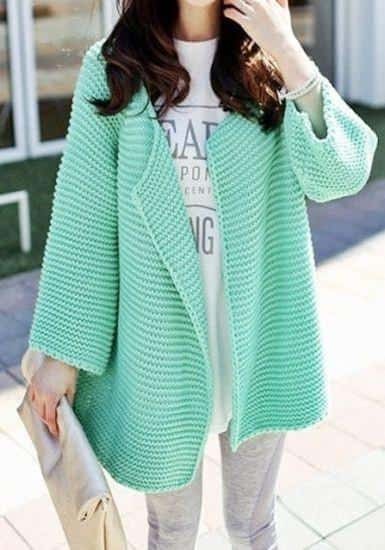 I think, you can easily pick suitable stylish outfits that would match the image from the 2018 list of fashionable clothes! 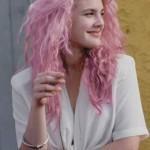 Not less popular with young girls is also pink hair. Learn more about it, see photos. But a real discovery of the season has become lavender hair! Look at the photo and read our article. 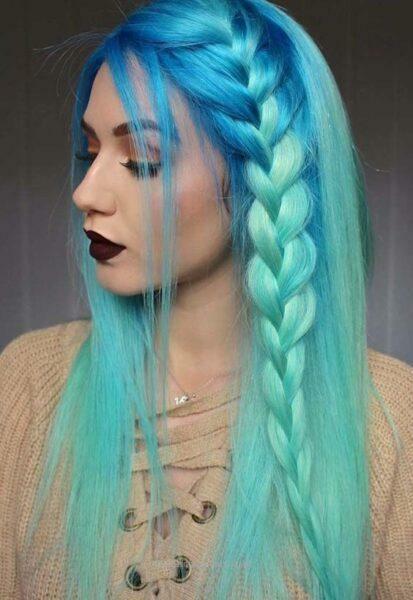 The most daring girls can make such an ombre with several shades. 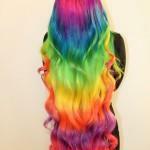 Do you like rainbow hair? Then check our new article with great photos! 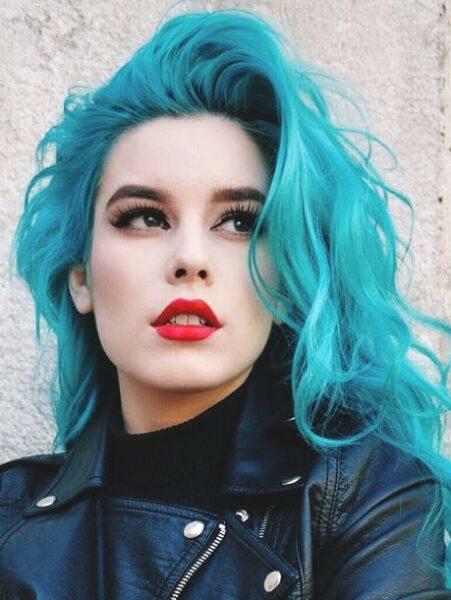 How to dye your hair blue? • What hair-dye to choose? No, we will not start commercial speeches now. Advice number one. Find a decent beauty store. If you’ve decided to dye your hair all over — buy the hair-dye from well-known manufacturers. And remember, it’ll be you who will have to live with an unusual hair color. Not for a single day or week. Not even for a month. 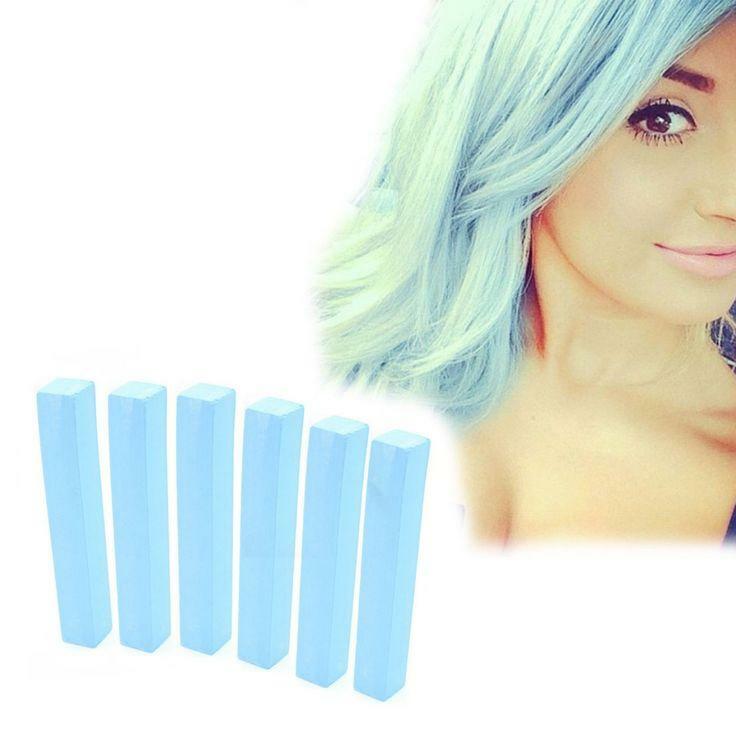 • Tonic for blue hair – can perform temporary image changes. The herbal base of such tonics does not damage the hair as much, which is an advantage. And when you decide to stop being a Malvina, the product will wash off easy enough! Tonic could be used for painting individual strands hair. • On the Internet you may find ‘wonderful’ recipes for home-made hair-dyes. But they can’t guarantee you beautiful hair color. Therefore it’s better to resist the temptation to buy cheap imitations of beauty-products. • Colored inks, sprays are a good option for those who want only to paint several locks of hair. The color usually turns out deep enough, and it’s not that hard to apply them! 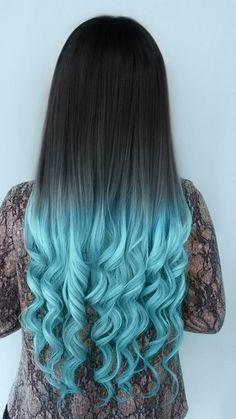 This idea is for those who’s decided to dye their hair ends or individual strands. 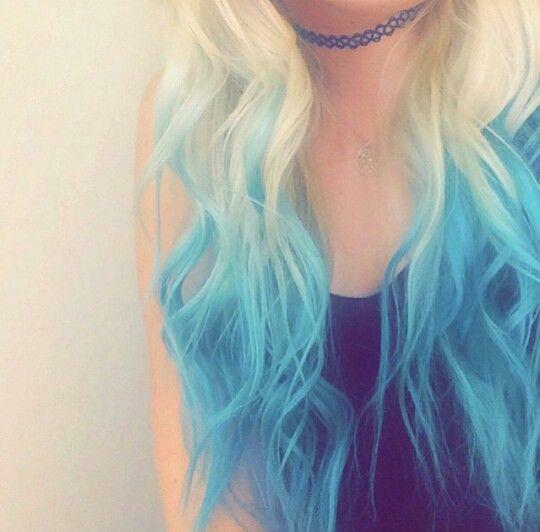 • Pastel chalks are a very popular hair-dying method among teenagers. We will describe this option in more detail. How to dye your hair with crayons? Are there special crayons for hair? Judging by what they write on the package, there are indeed. Crayons could be ordered on the Internet at a fairly affordable price. If we take into account that a product like this is not for one-time use, it turns out to be quite profitable. Also, the specific form of chalks makes it possible to apply them easily and quickly without staining clothes and fingers! The strands are evenly colored; their lines are very much distinct. But their composition has next to no difference from ordinary pastels, that one can find in the store among other drawing supplies. According to customers, the results are similar. But the technique of staining might be a bit more complicated. 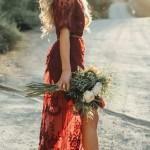 One will also have to endure some small inconveniences like dirty fingers, colored stains on clothes, a bit tangled locks. When deying with crayons (special or regular), you will eventually get a soft shade and a dilute color. Is it a defect or a virtue? Opinions have divided exactly by half! The advantages of hair chalking are obvious! • Pastel crayons are not as dangerous as dyes for your hair. All the same after staining hair might still become a little drier and faded. They look altogether worse. Therefore, experts advise no often chalk using. • This method is suitable even for girls with darker hair. Tonics, toning shampoos cannot dye black or brown hair. And it’s very simple to perform! • Crayons could be easily washed off. Thus it could provide you with a flunky hairstyle for a party, a celebration, a day off. • The structure of those chalks suggest the possibility of crumbling and thus dirtying your clothes. Therefore, you’d better opt for an outfit that wouldn’t show will show the colored pollen to much. Opt for dry crayons. After applying the oily ones hair become greasy, strands of hair stick together, and the whole look is rather untidy. If you have purchased specialized hair crayons, then follow the instructions on the package. We give the strategy of painting with the most frequently used chalks. 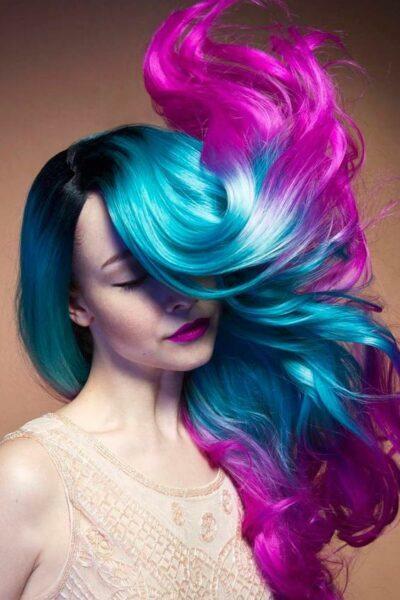 1.Before you start dyeing your hair with chalks, make them healthier. After you wash your hair next time apply some balsam, it will help to avoid excessive overdrying during the chalking. 2.Before starting, carefully comb through your hair, give it a desired shape. After applying the crayons, comb it again carefully so that the pollen wouldn’t not all crumble away. 3.It is necessary to moisturize hair with water, especially of the darker shades. Blond hair doesn’t need it that much. A dye that the crayons contain might be absorbed to a degree into your hair. If you are blond, the coloring might not vanish completely after the first wash.
4.Separate a small lock of hair, twist it. 5.Brush the crayon up and down the strand starting from top. 7.Give it some time to dry. 8.Use some hair-spray for better fixation. Remember that the head not only needs hair, but also brains. However, vice versa is also true: the girl’s head should have brains as well as hair! So make yourself brighter, experiment as you please! But don’t let your pleasure injure your health!